The Falathlorn Homesteads is an area within Ered Luin in the eastern region. 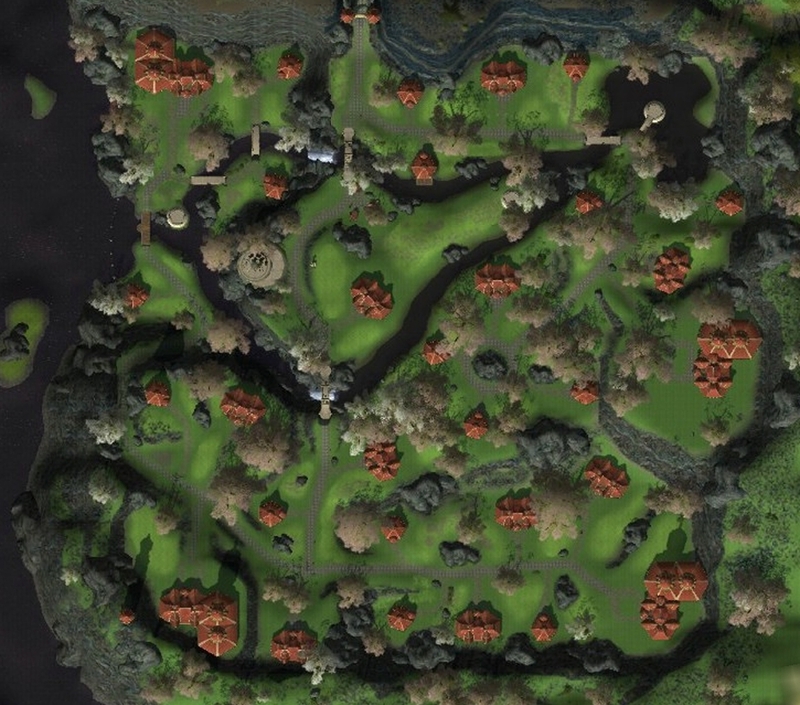 The Falathlorn Homesteads contain player housing in the ornate architectural style of the elves. 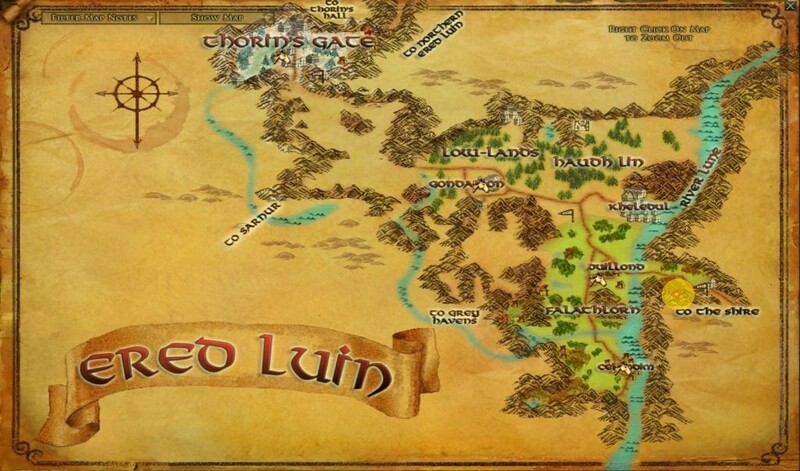 The homesteads are located east of Falathlorn on the east side of the river Lhûn. South of the Eastway and just outside the homesteads entrance is Barchiril, the Housing Broker. Services are provided within Falathlorn Homesteads, mainly at the outdoor "Homestead Provisions". It may be mentioned that Glosmir, the local supplier and provisioner, provides a 10 - 15% discount to his assortment. Thence crafters find it useful to shop locally. Players may swiftly travel to their home and/or their kinship house, and also a milestone is available just outside the entrance. In order to complete the quest Building the Duillond Homestead players must talk to Barchiril, located outside the homestead entrance, and Barthavron, inside Falathlorn Homesteads.